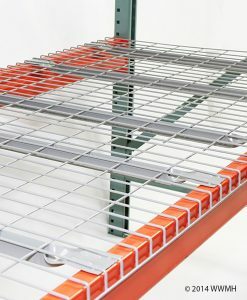 Wire Mesh Deck Shelving | T.P. Supply Co.
Galva-Deck™ metal wire decking from J&L Wire is made from galvanized steel that withstands abrasion. It comes in a range of shapes and sizes that fit pallet decks suited to multiple industries. Worldwide Material Handling's WorldDeck™ wire mesh decking offers one of the largest product selections in the industry. Find it in various configurations that integrate into your workflow seamlessly. Strength: Wire mesh decking holds items more securely than wood decking. 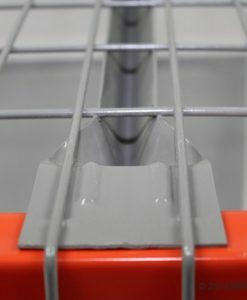 Our wire decking shelves are weight-rated for 2,000 to 3,500 pounds. The specialized coatings resist rubbing off even when in contact with the most abrasive products. Safety: Metal wire decking resists fire and has a lower risk of collapsing. It fits into your pallet deck tightly to ensure your shelving stays intact. Certain designs allow for water to flow if a fire alarm system triggers. Versatility: Browse different shapes and sizes that fit many common pallet deck models. Clip-on dividers and stops allow you to further customize your shelving. Separate products by category or prevent boxes from sliding off the shelf. Choose from multiple designs that comply with FDA regulations, fit step beams or make handloading easier. Ease of use: Wire decking installation requires few to zero tools. Wire decking collects less dust and needs less frequent cleaning. 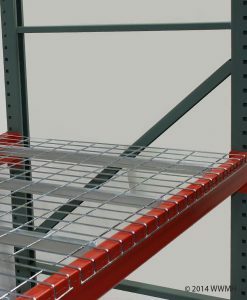 The modular nature of pallet racking lets you add more storage without completely disassembling the existing shelf. Food: Wire mesh decks that adhere to FDA regulations can store food without contaminating goods or retaining bacteria. Manufacturing and warehousing: Industrial-grade metal wire decking can hold over one ton of products and supplies. Some decks allow for forklifts to load and offload materials. 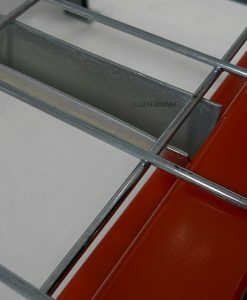 Retail: Mesh decking can display products for sale or store stock inventory. Retailers that sell recreational equipment, small vehicles and other heavy merchandise can sell and store their products safely. Why Choose T.P. Supply Co., Inc.? Instead of trying to sell as many industrial storage solutions as possible, we focus on choosing the products that we know will get the job done. We only sell items that we feel confident in. This approach lets us dedicate the rest of our time and effort to providing quality customer service and tailored options. When it's time to install, our own team will set up your storage — not contractors. Ordering from T.P. Supply Co. guarantees an effortless and high-quality experience from manufacture to installation. We're not the biggest — just the best. Complete our customized quote tool and our team will get back to you with an estimate. Bulk pricing is available for large orders.